If you are looking to start an online business in Sydney or want to give your existing business a new identity on the internet, it is important to hire the best web development company in Sydney. Web development Sydney covers a lot of aspects of the backend part of designing a website. We ensure correct and fool proof programming so that you website functions efficiently.Our web development covers web content creation, website management, context-sensitive tags, applying HTML markup, auto-save against data loss and efficient programming. From Where Should I Get A Trustworthy Web Developers In Sydney? Finding a reliable web developing company for your business is vital. Your website will be your only identity on the internet so you don’t want to take any chance. If you are looking for the best web development company Australia, Web Design City Sydney is the one for you. 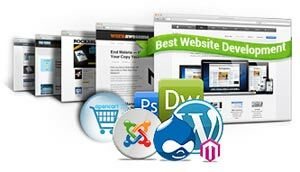 At web design city, we offer premium web development packages at very affordable rates. For any sort of web development solutions agency Sydney, you can count on us. We have experienced software engineers and web development experts. A number of companies have satisfactorily availed web development services from us at very cheap and affordable rates. We don’t compromise on the quality of services that we offer. We deal with all your web development needs in a professional way. Our web developers are creative engineers that offer varied web development options at very affordable rates. This way, you are able to keep a check on your budget. Web Design city Australia is helpful when you have any issue before or after the work is done. For any query, you can contact us and ask for quotation. You get to choose the best from different web development packages based on your need. So, contact us today and give your business a comprehensive online identity.